Thursday night we doubled-up by first catching Lord Huron’s near-capacity set at the Lobero Theater (Ma always said “if you don’t have anything nice to say, don’t say anything;” so….). 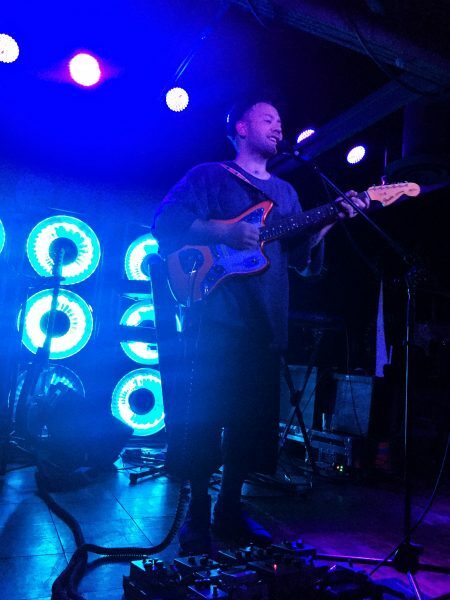 We then ventured up to Soho to catch Unknown Mortal Orchestra’s sold-out funkified, psych-jazz rave-party, and all was better with the world. 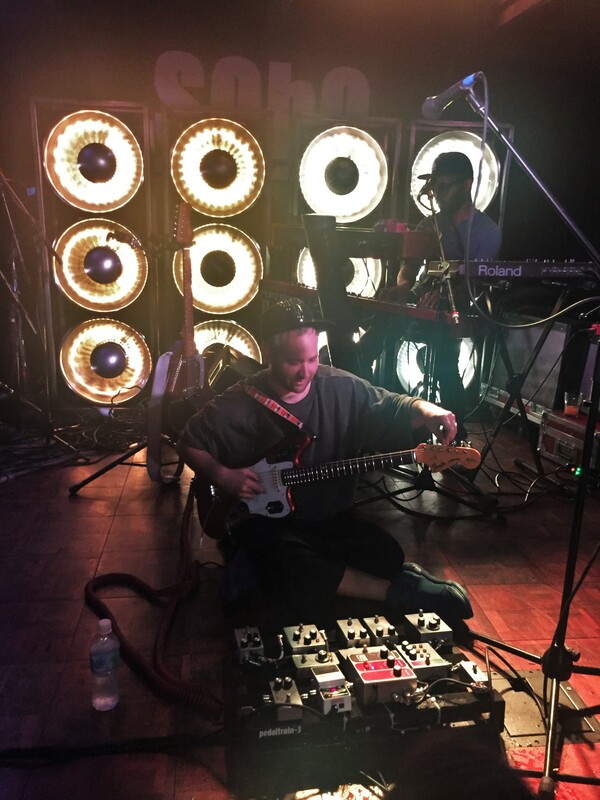 The Portland-by-way-of-New Zealand band UMO was on their way to Corpchella and has been playing to sold out audiences at every stop of their tour as word-of-mouth has caught up with them. Suffice it to say that their fans at Soho were completely tuned-in and turned-on to the band. Most crowd members knew every word to every song, which is an acid test when gauging a band’s worth live. To pay the highest compliment: UMO’s Soho show reminded us most of TV On The Radio’s ascendant show there in September 2006. The burgeoning UMO phenomenon is best comprehended live where their Stevie Wonder-pop-meets-Steely-Dan-jazz-at-Prince’s-funk music and well-conceived lyrics get audiences’ bodies and brains, respectively, moving. Gifted leader, guitarist and vocalist Ruban Nielson has a winsome way on stage, deftly cajoling his instrument and beaming the songs across, while bassist Jake Portrait and drummer Riley Geare comprise one of the best live rhythm sections we’ve seen recently, with imaginative and proficient propulsion-interplay throughout. The band has also been significantly enhanced by the relatively-new keyboardist/synths mastery of Quincy McCrary, who added complex, rhythmic flourishes (particularly on So Good at Being in Trouble) to match the sounds on the band’s critically-acclaimed, ’60s-assaying Multi-Love album from 2015. The band’s setlist covered their entire discography, featuring all the “hits” (The World Is Crowded was a highlight) and then some during their 90-minute set. Make sure you catch this great live band when they next come to your town (tour dates HERE). To get a better feel for the band, check out some band videos and live performances below. We can’t wait to catch them again.